The name “Mitton” may be derived from an ancient Saxon descriptive word “mitune” or “muthtun” or from the Saxon word “mythe” meaning at a confluence of rivers, as used in the Doomsday Book of 1087. The French “de” before Mitton would signify “of ” meaning geographic location. The “tun” part came from perhaps an old Latin or Saxon spelling. In old French is was spelled and pronounced as “ton”. The Norman French “ton” was a common definition for a farm or village or town. “Mitune” at first seems to mean the middle land between the rivers, Ribble, Hodder and Calder. The family surname is later ameliorated to the old French Norman descriptive word location Mitton. 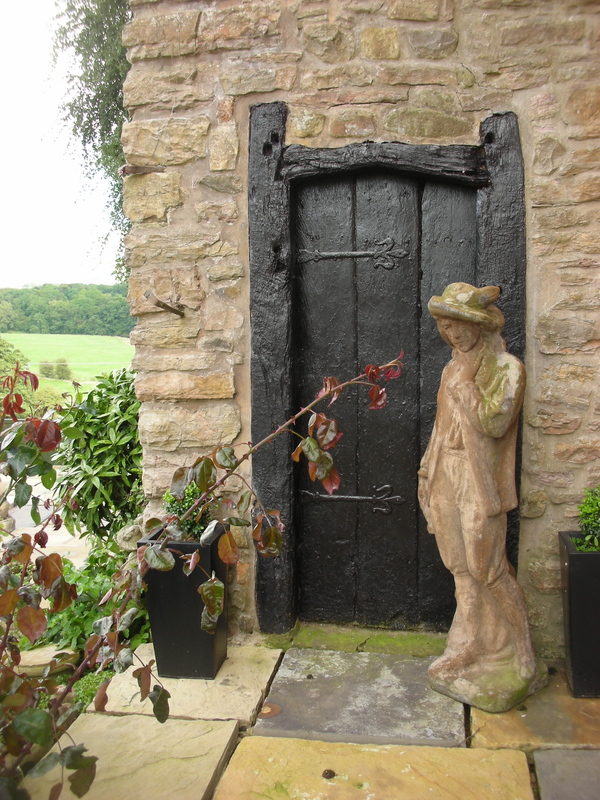 This door is in the back of Great Mitton Hall. Ivo David,“El Maestro”instructor of medieval architecture, believes it dates from the 12th. century and is of the original manor house of the Mitton family. The family remained Lords of Mitton Manor until the death of Henry de Lacy ll, third earl of Lincoln in 1310. He was the de Mitton family’s last liege lord of their namesake manor having held it since 1102. The Normans themselves probably meant “Mitton” to mean specifically “midtown”. Its roots may have derived from a Norse mythical definition. J.R.R Tolkien uses the word “Midgard” to define “Middle Earth”. That Norse name meant a middle location “where men live”, i.e. “abode of men”. The Norse “Mid” in “Midgard” is part of a location identification root name meaning middle. The “Mit” in this case may have meant the middle manor location or a midway point on the Ribble River about 3 miles from Clitheroe. Great Mitton is also the geographic location that Tolkien often used as inspiration for his trilogies about a similar “Middle Earth” from Norse mythology. A “midgard” description. Tolkein often walked Great Mitton and was well aware of its definition from ancient times. Language was his business. Their is a similar word in German used to this day; “Mitte” meaning center or half-way. All of this seems more than coincidental to explain the ancient name “Mitton” or middle-town. I think it is the most likely meaning of the name is that of a middle village or major manor at that time between the the three rivers. In any case, Ralph the Red’s much later descendant Jordon begins to use the surname “de Mitton” as required for the poll tax in 1219 because it defined that manor’s location and he as Lord “of that Manor”. “Mitune” originally belonged to King William and was documented in the Doomsday Book of 1086 as such. The Normans adapted locations as surnames when needed especially with advent of the poll tax in the early 13th century. Jordan de Mitton used that surname on early documents (see below) and this how the family surname “de Mitton” came about legally. 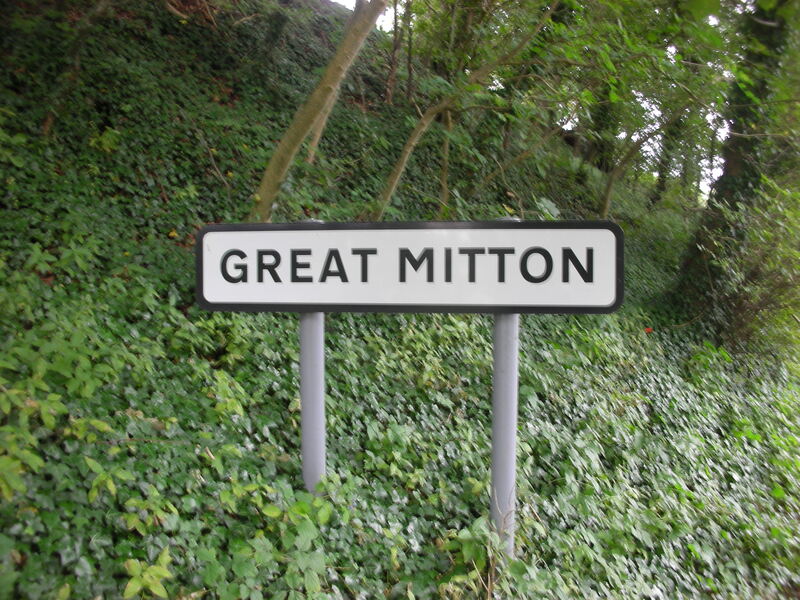 Eventually it became just “Mitton” in the post 15th century when the family migrated approximately 25 miles north to the Craven area of Yorkshire and dropped the “de” as a result. The recently arrived Normans spoke old French so it seems the spelling was first “de Mitton” rather that the Saxon spelling “Mitune”. The French pronunciation seems more correct (i.e. “de Mit-tone`”). The “o” then has a “tone” sound in French with the emphasis pronunciation confirming the French “tone” pronunciation. Thus the surname Mitton is much more pleasant sounding spoken in French (if not with better clarity and understanding to the ear). English was an amalgamation of various languages. The name Mitton seems to have both old Norman French and part Scandinavian roots. The name “Radulphus Le Rous de Mitton” (had he used it) would have identified him first by personal description (Ralph with red hair), and then the manor location which his direct descendant Jordon formalized in 1219 in the Assize Courts register for the county of Yorkshire. A “de Mitton” location descriptive surname was a common Norman way to name and identify a family or individual in the middle ages. The Normans were more prone to use descriptive location surnames with a “de” than the Saxons at that time. The “de” also signified “noblesse” being of the minor nobility as feudal manor lords. The designation of “Great” may have come down from this being the dominant manor land of the early lords of Mitton manor or was to distinguish the divided Mitton township or borough from that part below the Ribble River from that above the river which originally was part of Yorkshire until 1974. Mitton is the name still used in this area. 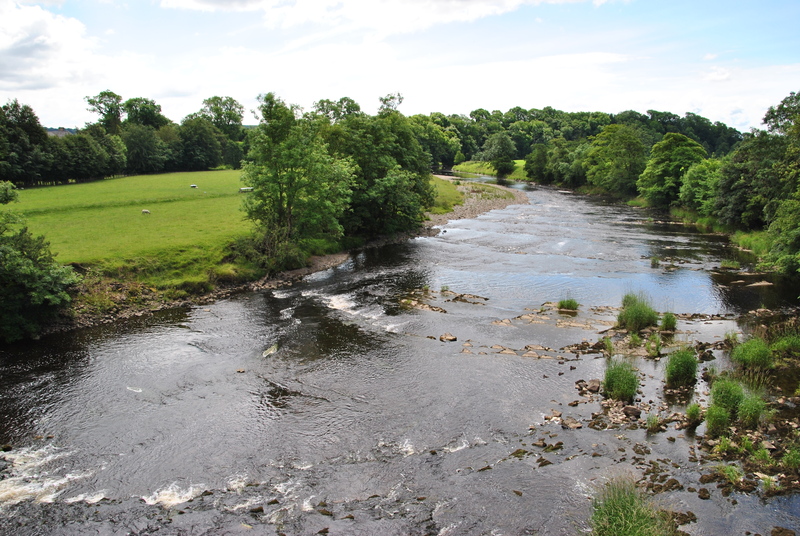 Great Mitton refers to the Yorkshire side of the Ribble River prior to the 1974 administrative boundary changes and remains the name on that side of the river. The Lancashire side was “Little Mitton”. However since 1974 Lancashire is on both sides of the rivers and the former “Little” has been dropped. “Recorded in several forms including: Mitten, Mitton, Mithon, Mithun, Mitham and Mytton, this is an English locational surname. It originates from any one of the various villages called Mitton or Mytton, of which there are a number of examples throughout the country. The name means ‘The place in the Middle’ from the Olde Engish pre 7th century ‘mydd-tun’. This would have been a settlement, with most likely an inn, between two larger villages or towns, and where travelers may have been expected to rest. A similar sort of geographical description as applied to a village is that of the Danish-Viking pre 9th century ‘Thorp(e)’, which describes an outlying settlement, one up to three miles away from the main village. These location style of surnames were usually ‘from’ names. That is to say they were names given to people after they left their original homestead and moved elsewhere. Spelling being at best erratic and local accents very thick, led to the development of ‘sounds like’ spellings. Early examples of the surname recording found in the surviving registers of the diocese of Greater London include: Anne Mythen, who was christened at the church known as St Giles Cripplegate in the city of London on January 21st 1643, and James Mithon, christened at St James Poultrey, also in the city of London, on December 13th 1663. The first recorded spelling of the family name is believed to be that of Jordan de Mitton. This was dated 1219, in the Assize Courts register for the county of Yorkshire, during the reign of King Henry 111, 1216 – 1272. Surnames became necessary when governments introduced personal taxation. In England this was sometimes known as Poll Tax. Throughout the centuries, surnames in every country have continued to “develop”, often leading to astonishing variants of the original spelling”. This map shows the extensive lands under the domain of Mitton parish. It provides a representation of how extensive the original domain lands of Ralph the Red were. 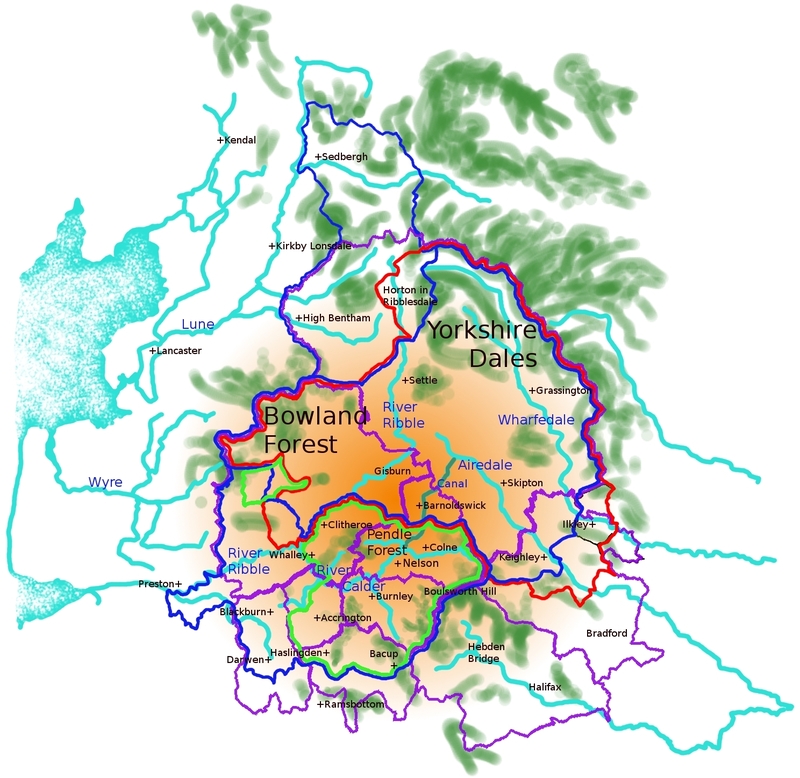 Mitton was originally part of the ancient Lordship of Bowland which comprised a Royal Forest and a Liberty of ten manors spanning eight townships and four parishes and covered an area of almost 300 square miles (780 km2) on the historic borders of Lancashire and Yorkshire. The manors within the Liberty were Slaidburn (Newton-in-Bowland, West Bradford, Grindleton), Knowlmere, Waddington, Easington, Bashall Eaves, Mitton, Withgill (Crook), Leagram, Hammerton and Dunnow (Battersby). MITTON, a parish in the district of Clitheroe now in Lancashire, It includes peninsular tract at the confluence of the rivers Hodder and Ribble, 2¼ miles SW of Clitheroe railway station. It was once a part of Whalley parish; and it contains the hamlets of Chaigley, Aighton, and Bailey in Lancashire, and the townships of Great Mitton, Bashall-Eaves, Waddington, West Bradford, and Grindleton. Post town, Clitheroe. BRADFORD, WEST, township, Mitton par., N. div. West-Riding Yorkshire, on river Ribble, 2 miles N. of Clitheroe, 1955 ac., pop. 311. GRINDLETON, township and vil., Mitton par., N. div. West-Riding Yorkshire, 3 miles NE. of Clitheroe, 3777 ac., pop. 623; P.O. (John Bartholow, Gazetteer of the British Isles (1887)). Note the close proximity of Great Mitton just to the west of Clitheroe and Horton-in-Ribblesdale to the north on this map. Please double click for enlargement. Map of old and new Mitton Parish deanery. . The Mittons lived in this deanery for over 700 years.